Why Register as an Investigator? Clinical trial investigators are critical to the development of new products to fight disease and improve the health of people worldwide. The pace of new drug development has accelerated which has increased the number of clinical trials required to properly evaluate new drugs. There is a need for physicians in private practice to join as investigators in these clinical trials. Clinical trial investigators have the advantage of offering patients alternative treatments that may be available only through participation in clinical trials. Patients may receive care at no cost throughout the trial and may be provided with medication they might not otherwise be able to afford. Please register online here for consideration of participation in clinical trials. 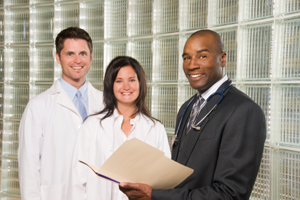 We will notify you when a clinical trial that matches your criteria is enrolling patients. Privacy Notice: All investigator registration data collected on this site will be used for the purpose of conducting clinical trials and may be transferred to the clinical trial sponsor, FDA or other regulatory bodies.